(NaturalNews) Omega-3 fatty acids have been the focus of a wide range of studies for various physiological reasons concerning heart health, inflammation and brain health. The brain and nervous system need those fatty acids structurally. But how those omega-3 fatty acids affect the mental and emotional aspects of the human condition has been studied less with mixed results. Some studies show an association, while others do not. This article will explore a few that connect depression with omega-3 deficiency after a summarized explanation of omega-3. Omega-3 fatty acids are provided by both plant and animal food sources. The most significant plant sources are flax, chia and hemp seeds. The most significant animal sources are fish oils, including cod and krill oils. They are not the only sources of omega-3 fatty acids, but they each individually contain more than others. Omega-3 fatty acids are essential fatty acids, meaning they have to come from dietary sources, because the body doesn't make them. Plant sources contain omega-3 alpha-linolenic acid (LNA), which the body converts into more effective Eicosapentaenoic acid (EPA) and Docosahexaenoic acid (DHA). Many consider EPA to be the most efficacious form of omega-3. Fatty fish oils contain EPA and DHA already broken down and ready to go for human consumption. As humans grow older, their capacity to convert LNA to EPA or DHA often diminishes. Omega-3 EPA and DHA are capable of assisting brain cell and nerve growth while combating inflammation throughout the body. 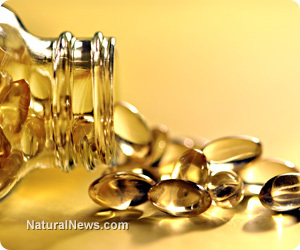 A dramatic example of how omega-3 fish oil restores brain and nerve damage occurred when a hospital dared abandon normal protocol and fed an almost brain dead youth in a coma large amounts of fish oil, enabling him to fully recover (http://www.naturalnews.com). (1) A study conducted at Columbia University analyzed omega-3 EPA and DHA serum levels of 59 people diagnosed with major depressive disorder (MDD). 18 of them also suffered from comorbid anxiety disorders. None of the subjects were on psychotropic medications. It's generally recognized that the high ratio of omega-6 to omega-3 (well over 3:1) in the standard American diet (SAD) is the foundation for inflammation, diabetes, and heart health. It's now safe to assume this same ratio disparity is at least partly responsible for the huge depression epidemic in the USA. (3) A double-blinded study conducted in Tehran, Iran, was set up to compare omega-3's EPA against fluoxetine, the active chemical component of most pharmaceutical antidepressants. The researchers discovered that EPA was slightly more efficacious than fluoxetine but combining the two produced even better results. each agent was equally efficacious for depression among participants. Since fluoxetine side effects were not considered, suicides and murders were not reported. (4) A French study published by Nature Neuroscience and reported by Science Daily set out to prove the dietary biological ratio imbalance of omega-6 to omega-3 is a factor for increased depression. The researchers used mice fed a life-time diet mimicking that human imbalance. They observed that cannabinoid receptors playing a major role with neurotransmission lost function completely. Depressive behaviors followed from this neurotransmission dysfunction. The French researchers contend this was the first completely biological study that supports epidemiological studies implying omega-6 to omega-3 imbalances and omega-3 deficiencies as a source of increased depression in the industrialized world.